Dodgers gift ideas for Father's Day and the summer months ahead. Things are starting to heat up in Southern California and with the warmer weather comes uncomfortable day games at Dodger Stadium. This Father's Day on June 17th is an example of one of those games, and if you are not lucky enough to be in attendance to receive a promotional money clip or play catch on the field with Pops, fear not, we have you covered. As the temperatures rise in Southern California this Father's day and into the Summer, we have the perfect gift idea for the Dodger fans in your family. Bani Bands is a state-of-the-art headband with Patented Coolcore fabric that provides cooling relief under the sun. The cooling headbands will stay up to 30 degrees cooler than your body temperature when wet. 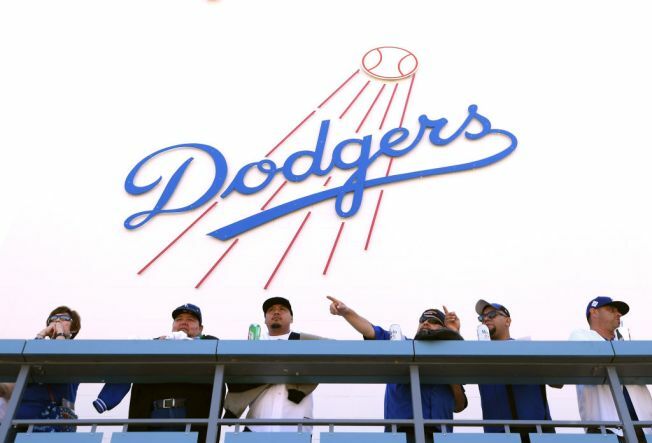 The company offers headbands for every MLB team including our own Los Angeles Dodgers and Los Angeles Angels. Additionally, they offer college teams as well as sports themed head bands as well. Prefer a stylish headband without a sports team or cooling feature? Check out UrbanHalo headbands, which are perfect for outdoor summer workouts and their signature "no headache" headband made from an uber-soft fabric material good for any outdoor activity. Both brands of headbands come in multiple shapes and sizes and range from $9.99 to $24.99 for a two-pack. However, if you're an NBC LA viewer, enter the promo code KNBCLA20 on the Bani Bands website, which gives you 20% off your purchase from now until the end of summer. Now you can enjoy your favorite MLB team in style this summer without having to hide under the concourse for relief. Also, head over to the Dodgers team store where you can find plenty of other gifts for Father's Day and the uncoming summer months like wallets, ties, pint glasses, spray fans, beer holders, lawn flags and more.